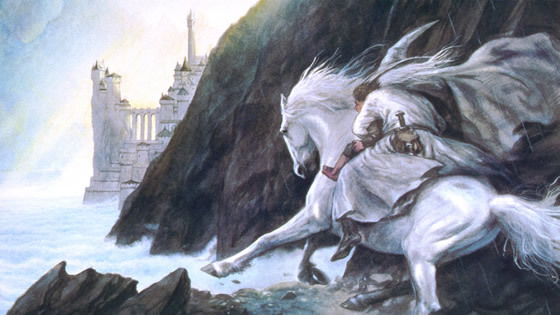 Here I am, charging in on my white horse once again. A couple of weeks ago, one of the players in my favorite handbell ensemble broke her arm and I received an SOS for help. After some hesitation, I agreed step in for the Christmas season, which is of course the busiest time of year for any musician but especially for handbells. With the first concert less than 2 weeks away, it meant extra rehearsals for the group and lots of practice time for me. This rushing in to help out - to fill in for people who are ill or having a crisis or quitting or just overwhelmed - is an old and prevalent pattern. I do it everywhere - with former jobs and musical groups, at churches and schools. I’m on permanent standby for a whole slough of people and organizations. Hi, My Name is Becca, and I'm a Rescuer. "The Rescuer needs to be needed," writes Andrea Matthews, LPC. "The Rescuer not only depends on her role to give her a sense of self, but she also depends on it to bridge the gap between self and others. In other words she needs the Rescuer role just as much, probably more, than the rescued needs rescuing. In fact, the Rescuer tends to feel as if her self-esteem has taken a big hit when there is a lag-time between rescues. Though on the one hand she might be relieved that she's not having to take care of every little thing for the rescued during that lag-time; on the other hand, she's wondering what she's doing here if it isn't to rescue someone else." Indeed. The role of savior is a perfect fit for someone with a tendency to undervalue themselves coupled with a need for approval and a lack of self-confidence. Because I’m “only helping,” I immediately start out ahead with a couple of gold stars for my generous behavior. Plus, the performance stakes are lowered because I’m only “temporary.” And because I'm fulfilling someone's need, I'm doing that thing that gives me the most inner satisfaction of all. Forgive me for all this blatant navel-gazing. But I suspect we all have patterns of behavior which, if not exactly like mine, are more self-serving than might first appear. While most people probably think I’m just a good egg, I’m actually busily fulfilling a self-prophecy - namely that I can only be successful when I'm helping other people. More importantly, though, I'm reinforcing the (mistaken) belief that my own needs and desires aren't important, and must be subjugated to the needs of others. Rather than spending hours preparing for my next round as a White Knight, perhaps I’d be better served by putting some armor around my uncertainties and charging into battle for myself for a change. So - how about you? ‘Fess up - do you have patterns of behavior that fulfill your own self prophecies?